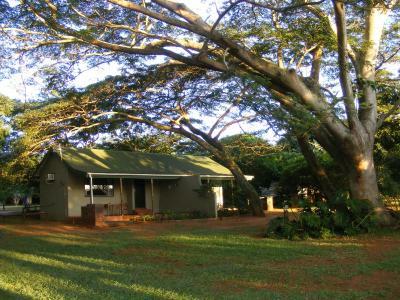 Lock in a great price for Sand Forest Lodge Hluhluwe – rated 8.2 by recent guests! Great Danes. 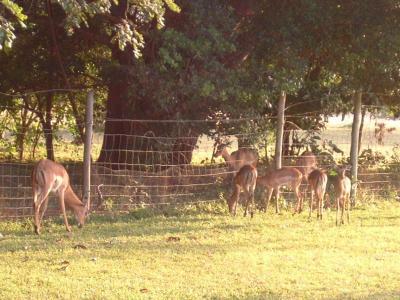 Large property with small herd of Nyala. Bird sounds, owls and general tranquility. Rustic yet comfortable, exactly what we wanted. Beautiful grounds. It’s nice and quiet, you have impalas and cows in front of your house. The owners are friendly. Beautiful location. Close to all the major attractions. 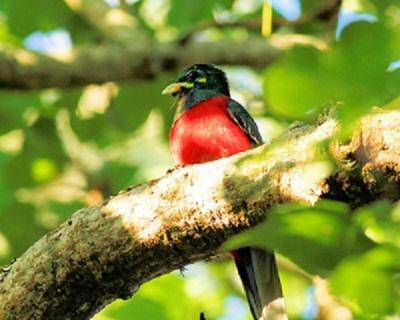 The property itself is a birders paradise. My choice of accommodation in this area. Two photos are the main chalet room. 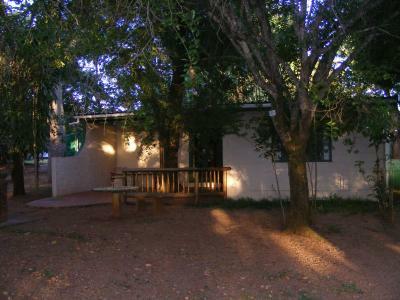 The other photos are the campsite and 2 wood cabins to the right, past Reception, in the corner of the property. The main chalets are in pairs set amongst big shady trees. 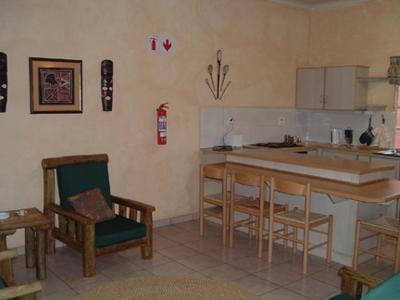 Separate patios and braai area for each chalet. 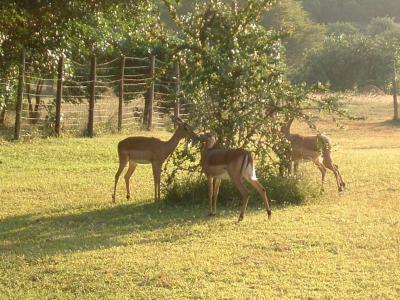 Lots of bird life, a duiker, Nyala and Impala. 3 friendly cows and their pet goat. Nice walk through the Sand forest. 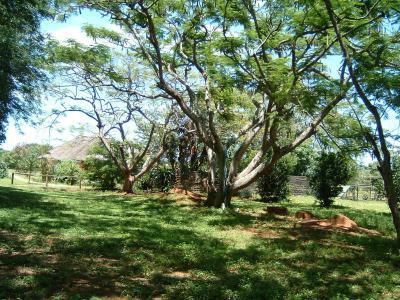 I''d be happy to camp there, as the campsite was empty and the 2 rustic huts look very chilled under the trees. Very friendly hosts. 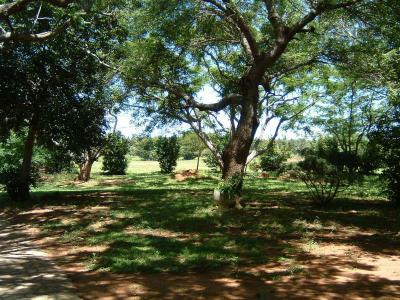 Beautiful huge grounds with wonderful birdlife, wildlife and very friendly dogs. Prachtige omgeving. Heerlijk rustig gelegen met veel dieren om je heen (nyala, impala, crested guineafowl) maar ook koeien en honden. Zeer vriendelijke eigenaren. Perfect voor degene die houden van rust, ruimte en natuur. 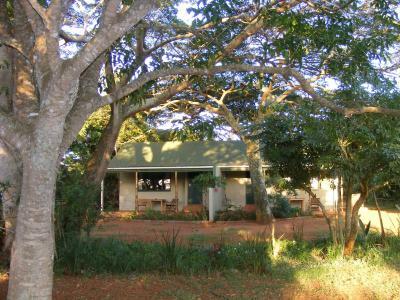 Sand Forest Lodge Hluhluwe lies in the west of False Bay Nature Reserve, part of the Greater St Lucia Wetlands Park. Free WiFi is available within the reception area and free private parking is available on site. 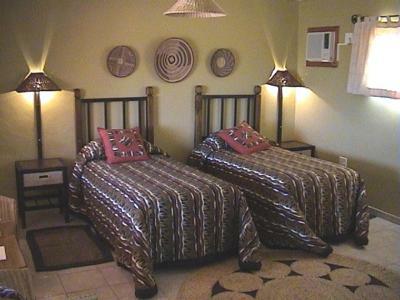 The self-catering accommodations units offer rustic African decor. Some units include a seating area and/or patio and other units also have a kitchenette, fitted with a microwave. 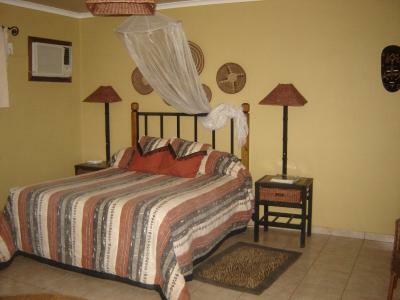 A number of activities are offered in the area, such as game drives, cycling and fishing. 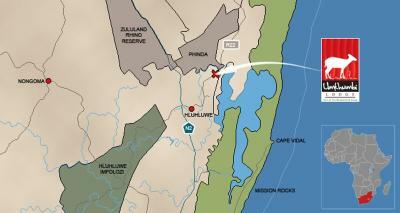 Hluhluwe-Umfolozi Game Reserve can be reached within 30 minutes by car. 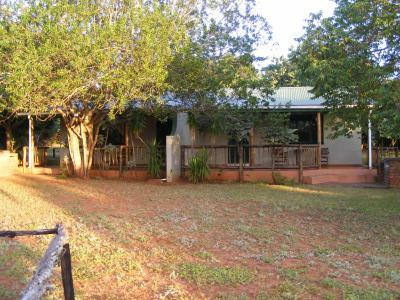 This property is also rated for the best value in Hluhluwe! Guests are getting more for their money when compared to other properties in this city. 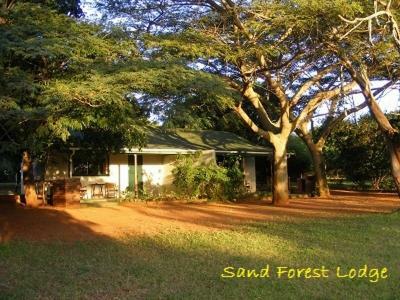 When would you like to stay at Sand Forest Lodge Hluhluwe? This twin/double room has a electric kettle, private entrance and microwave. 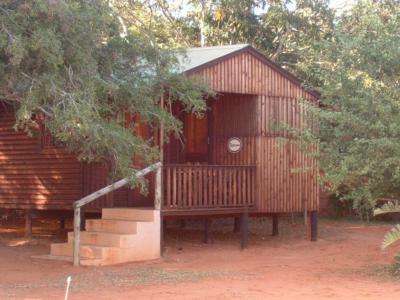 House Rules Sand Forest Lodge Hluhluwe takes special requests – add in the next step! 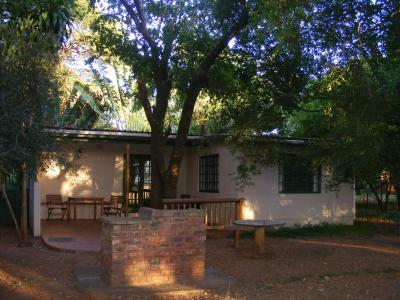 Any additional older children or adults are charged ZAR 200 per night for extra beds. Sand Forest Lodge Hluhluwe accepts these cards and reserves the right to temporarily hold an amount prior to arrival. Please inform Sand Forest Lodge Hluhluwe of your expected arrival time in advance. You can use the Special Requests box when booking, or contact the property directly using the contact details in your confirmation. Slobber, mosquitos. Swimming pool out of action on hot humid days., otherwise all good. Couldn't sleep with the windows open due to mosquitoes. Would have preferred gauze on one or two windows. Since it was inside a forest , it needs more cleanliness/maintenance mainly of the utensils. It’s a bit rundown and old and there’s no restaurant which means you have to go out at night if you don’t cook, and there’s not much close by. It’s also a bit far from the reserve and Santa Lucia, where all the activities are. Small fridge. Does not make for a longer stay, unless you buy fresh food/meat daily. Pool area seems closed permanently. They should remove the word 'pool' from the advert. Otherwise it was all lovely. Kitchen utensils old. No toaster, bathroom light didn't operate. Peace and quiet. Beautiful gardens and trees.